At Caplan Bankruptcy and Family Law Firm, we work closely with our clients to ensure they receive the best representation possible. Our experienced team is beside you each and every step of the way, taking the time to understand your needs and the circumstances of your case. Florida is a no-fault state. In other words, either party can initiate the process for almost any reason. 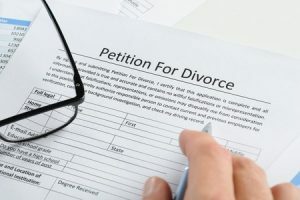 A divorce can be finalized as soon as 20 days from the date of filing. Most of our cases are guided through a settlement, though sometimes a trial is necessary. If a trial is necessary, any issues that have not been settled will be decided by the judge. In Florida, there are no jury trials for divorce. Most of our clients have questions about the process. The best way to move forward is to set up a consultation with an experienced attorney who can answer your questions and guide you through the next steps. At Caplan Bankruptcy and Family Law Firm, our team aims to provide you with the best service in the business. If you have any questions, or if you'd like to schedule a consultation, please reach out to us.